After a rash of public outcry and a pair of lawsuits, Perdue will be forced to remove labels reading "humanely raised" from its chicken products on the grounds that the labels are false advertising. The move is the result of two class action lawsuits alleging that the packaging of the company's Harvestland brand chicken was misleading. The settlement requires Perdue to remove the labels - though the company has stated that it does not accept the allegations. "Perdue rejects the plaintiffs' allegations and maintains that its labels are not misleading in any way. Nonetheless, it has agreed to discontinue the labeling claim at issue. Perdue is committed to treating animals with respect and to ensure their health and safety. We are pleased this lawsuit has been resolved." But animal welfare advocates say otherwise. Perdue Farms, the third-largest poultry producer in the U.S., used the label "Humanely Raised" on its chicken products prior to this week's settlement. The label adheres to voluntary "Animal Welfare Guidelines" set forth by the National Chicken Council for its members. 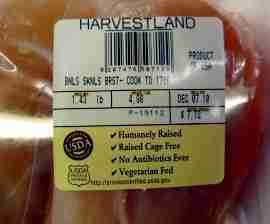 In order to qualify for the "Humanely Raised" label, farms voluntarily meet a few standards. These include giving sufficient food, water and ventilation, as well as allocating eight-tenths of a square foot of area per bird. Unlike recognized labels that involve third-party inspections, the National Chicken Council is the trade organization for the chicken industry. In contrast, a better (though not foolproof) label used by many farms is the Animal Welfare Approved sticker, which indicates that a third-party inspector has approved a supplier on a myriad of animal welfare standards. 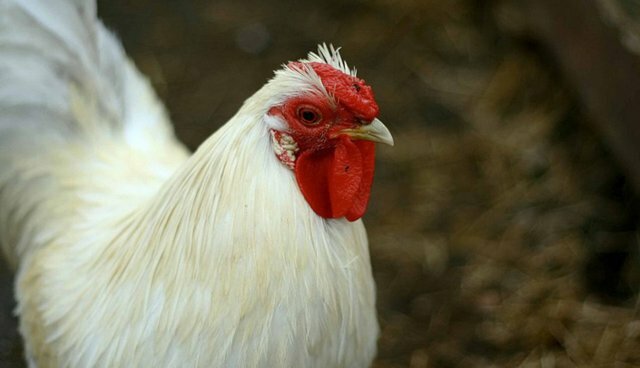 Chicken farmers are also required to keep relatively small flocks, administer veterinary care or humane euthanasia for injured or sick birds, and allow birds to roam in outdoor areas. For now, animal advocates are happy that the company will not be allowed to misrepresent itself. "We are pleased to see the claim removed from Harvestland's packaging, which we view to be misleading," said Peter Petersan, Director of Animal Protection Litigation for the Humane Society of the United States. "We will continue to work to protect both animals and consumers."